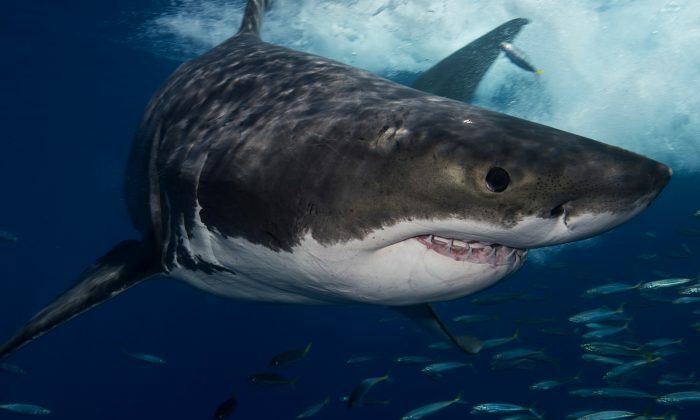 The stuff of nightmares, sharks are perhaps the most feared predators of the animal kingdom. Yet, these hunters of the deep are not just fearsome killing machines but are also, in some ways, social animals. They have ways of communicating and showing affection that many of us may not be aware of. One remarkable woman, Cristina Zenato, nicknamed the “shark whisperer,” knows this all too well. Sharks pose little threat to her where she dives, in the Caribbean, but rather, they often swim to her when they need help from her. Although Italian by birth, Zenato grew up in lush surrounds of the African Congo, but she learned to scuba dive in the Bahamas, where she now calls home. Zenato has been interacting with sharks for decades. Very few people possess the special gift she has of communicating with sharks using touch. “I absolutely love sharks,” Zenato admits. The reef sharks she interacts with are the most common species of shark in the Caribbean, and although they don’t have a history of attacking humans, they are still considered dangerous. One of the precautions Zenato takes is wearing a chainmail suit—as sharks can have bad days, just as humans can. In her underwater excursions, Zenato has cooperated with media such as BBC, Discovery, National Geographic, Science, and Nature, and her shark expertise has been sought after by both scientists and filmmakers. Using a special technique, she is able to put them in a kind of hypnosis called tonic immobility. The shark is not harmed in any way, but rather, they appear to enter into a sort of ecstasy—though it’s hardly something for the inexperienced to try! Very often, sharks arrive at Zenato’s dive site with fishing hooks embedded in their mouths, and in her interactions, she has succeeded in getting close enough to remove those painful implements of man without ever having been bitten—truly an amazing feat. Now, Zenato has a collection of over 200 hooks from her many years of helping the ocean predators. With my favorite baby, Foggy Eye! Yet, she has never been bitten by a shark! Zenato is keen enough to sense whether the hook can safely be removed, and some are just best left alone. “I know each and every one of them physically but also temper-wise, who is a fast feeder, who is calm feeder, who likes to be touched, who doesn’t,” she explained. Many call me a shark whisperer, I think I am more of a shark listener. I spend a lot of time with them, I watch them, observe how they change from day to day, from dive to dive and adapt. The shark that she named “Foggy eye” is her favorite, she shares. Zenato was patient, as it would likely take time to help her. “Since that day she has been the most ‘cuddly’ of the sharks. She started to come up to me and lay in my lap and has never stopped liking being touched,” Zenato adds. This Band of Beluga Whales Has a Special ‘Adopted’ Buddy, Can You Spot It?